Holiday festivities continue this week, encouraging local residents to celebrate the coming of the season at community events. The Night of Lights parade, to be held down University Drive in Edinburg at 7 p.m. Friday, will kick off a weekend-full of holiday cheer. Following the theme of “Candy Land,” an array of illuminated floats and a special appearance from Santa Claus await. 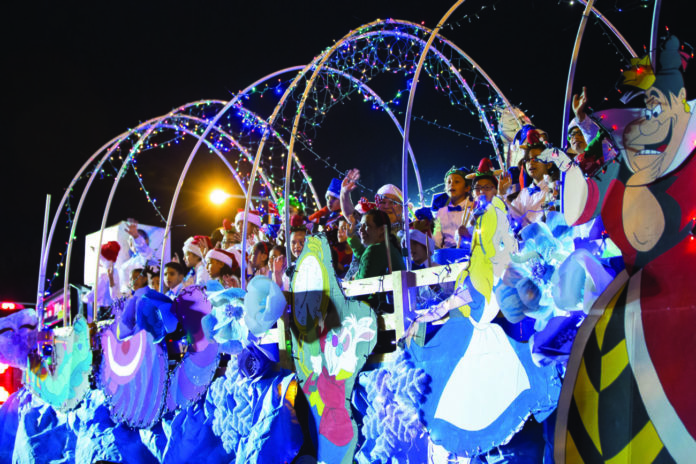 The public is also welcomed to participate in the float-decorating competition; trophies and prize money will be awarded to first, second and third places in Business/Civic, School and Marching Band divisions. Valley Symphony Orchestra marketing director, Vivian Vargas said the event is the perfect way to get into the holiday spirit. Featuring an orchestra of 85, and singers from Houston, Dallas and San Antonio, donations will be collected after the show for Hungry for Music, a national nonprofit organization that provided students in need with instruments they love for the holidays. Residents are also invited to the Museum of South Texas History in Edinburg on Sunday for the Fiesta de Noche Buena, a celebration that highlights the Christmas traditions that derive from South Texas and Mexico. Though “noche buena” translates to “good night” in English, the Spanish phrase also refers to Christmas Eve gatherings. Starting at 1 p.m., the event will provide traditional foods, adornos (decorations) and memory sharing. Another tasty way to participate this weekend is the Gingerbread House Workshop at the International Museum of Art and Science in McAllen. Challenging members’ decorative skills, participants are invited to channel their festive spirits into decorating miniature gingerbread houses. Workshop sessions will be held Wednesday and Thursday; $8 for IMAS members and $10 for non-members. Joining the holiday cheer are the animals from the Gladys Porter Zoo at Zoo Nights and Lights. Featuring performances from local bands and choirs, a display of 150 lighted animal and holiday fixtures are also available for guests to enjoy starting from 6 p.m. to 9 p.m. Friday through Sunday. Lighted attractions include animated gorillas walking on rooftops and chimpanzees climbing palm trees, and a new lion-themed tree in the Christmas tree forest. Tickets are $2.50 per person, or free with a donation of a new, unwrapped toy for Toys for Tots at the entrance. Also contributing to the holiday spirit this weekend is the 24th annual Mid-Valley Lighted Christmas Parade on Saturday. The procession, which will take on the theme “A Very Disney Christmas,” will stroll down Texas Boulevard at 6 p.m. It will include illuminated floats accompanied by local bands and mascots, starting at Weslaco City Hall. The city of San Juan is also getting residents into the holiday spirit with Noche de Paz at the San Juan Municipal Park on Saturday. The free event will feature musical performances, food, a carnival and parade. The annual Noche de Paz Cook Off will also take place, awarding $5,000 in cash and prizes to winners.